Picture it: This holiday weekend you’re about to bite into juicy, grass-fed, flame-grilled burger. There’s fresh watermelon and apple pie on the table. The kids are decked out in red-white-and-blue shorts and flip-flops. There’s baseball on TV. Fireworks in the street. It’s difficult to imagine a more wholesome, all-American setting. Save for that burger. Yup, turns out that burger is about as American as futbol and kangaroos. Because, while the package may say “Product of the USA,” it turns out that burger was likely raised somewhere just west of Rio, on pasture freshly carved out of a rainforest. Or, potentially, that beef began its 9,400-mile journey from birth to your table when it was a gawky Australian calf. Thanks to a much-maligned USDA provision, beef that carries a “Product of the USA” label doesn’t mean that beef was raised in the States. Nope, all the slaughter house has to do is import beef from abroad, run it through a USDA-inspected facility, package it, and slap on one of the more misleading stickers you’ll ever find outside of a used car dealership. Same goes for pork and those gameday ribs in the smoker. American cattle raised under US food safety standards and worthy of Product of the USA label. Now, it stands to reason that most red-blooded, flag-flying, pickup-driving Americans would take umbrage with such a misappropriation of “Product of the USA.” But, it turns out, there’s a few who wouldn’t have it any other way. See, importing cheap, grass-fed beef of mysterious origin is an easy way to make a quick buck. 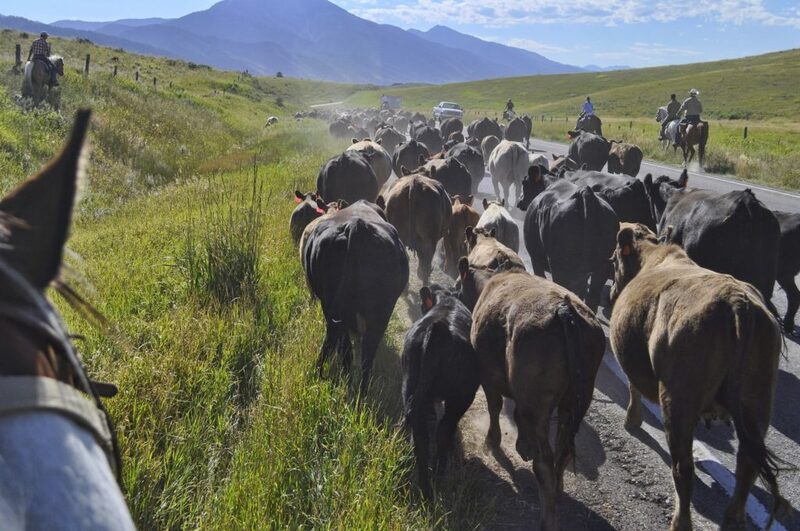 The practice allows processors to undercut the market price paid to actual, red-blooded, flag-flying, pickup-driving American ranchers and hog farmers — and it allows those processors to turn around and profit off those ranchers’ good name. Frankly, the meatpackers are selling you a load of a different type of cattle product. The Western Organization of Resource Councils has worked for decades to cut through the labeling malarkey. In 2002, WORC spearheaded efforts to get Country of Origin Labeling (COOL) into the Farm Bill. Unfortunately, in 2015 Congress voted to repeal COOL for beef and pork, under pressure from lobbyists of corporate meatpackers who control more 84% of U.S. cattle slaughter. COOL, the lobbyists say, can’t be done because of World Trade Organization rulings; because it would harm the economy and cost jobs. This, of course, isn’t true. WORC’s allies at R-CALF (the Ranchers-Cattlemen Action Legal Fund) have collected a series of myths promulgated by the beef importers, and in-turn breaks them. Importers’ Myth: The U.S. cannot disregard the WTO’s ruling against COOL. COOL Truth: The U.S. has yet to seek a diplomatic resolution for COOL as it has in other WTO cases. Also, the WTO ruling was blatantly conflicted because Ricardo Ramírez-Hernández, a Mexican national and attorney in service to Mexico, was the Presiding Member of the Appellate Body that, unsurprisingly, ruled in favor of Mexico and Canada. Myth: If consumers wanted COOL, the marketplace would voluntarily apply COOL labels. Truth: This is the problem: Importers are voluntarily applying the “Product of USA” label, but they are putting it on imported beef products that receive only minor processing in the U.S. and on beef derived exclusively from foreign cattle. Thus, the American cattle farmers’ and ranchers’ trademark is being stolen by importers. Myth: COOL harms American cattle producers by adding costs to the beef supply chain. Truth: When COOL for beef was fully implemented from early 2013 through 2015, American cattle producers received historically high prices for their cattle and their profitability, as measured by returns per bred cow, was also at historical highs. Myth: All beef is the same regardless of where the animal was born and raised. Truth: This is false as other countries do not have identical environmental, production and food safety standards as the U.S. It is also irrelevant because a label stating “Born, Raised and Harvested in the USA” distinguishes the product as one produced entirely under the United States’ food safety system and by America’s farmers and ranchers. Myth: COOL does not need to be mandatory as producers can voluntarily label their beef. Truth: No, they cannot. In the multi-segmented cattle-to-beef supply chain, cattle producers sell live cattle to the packers that subsequently transform those cattle to beef. Thus, it is the packer and not the producer that can decide whether to label and, obviously, it is not in the packers’ interest to inform consumers as to the true origins of their beef. Truth: A handful of importers choose to purchase imported beef and cattle rather than American beef and cattle and they enjoy windfall profits by passing these cheaper, undifferentiated imports off to unsuspecting consumers as if they were American grown. They also use undifferentiated imports to fill any supply gaps, thus eliminating opportunities to rebuild the U.S. cattle industry and attract new entrants to the ranching sector. 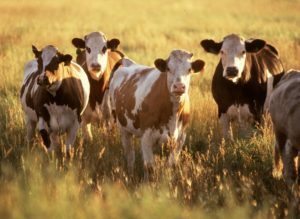 COOL will end the importers’ exploitation of the lack of transparency in the market and allow the marketplace to determine the value of beef produced in each North American country. Myth: COOL cannot be implemented without a national animal identification system. Truth: This is false. COOL was effectively implemented from early 2013 through 2015 without a mandatory identification system. It relied on producer affidavits and a presumption of domestic origin (any animal not bearing a permanent foreign import marking can be none other than exclusively born and raised in the United States). Myth: COOL requires the segregation of imported cattle and imported beef and such segregation is difficult and costly. Truth: COOL does not require segregation but packers may choose to use the same protocols they employ for maintaining the identity of beef of differing quality grades, such as Prime, Choice, Select, etc., and for beef eligible for certain branded programs, such as Certified Angus Beef, or natural or organic programs, all of which require product tracking throughout the beef manufacturing process after the animal is harvested. The beef packing industry is fully adept at identifying and tracking beef products based on a wide range of production-based criteria that are not observable in the product itself. Myth: COOL is unconstitutional and its rules exceeded USDA’s statutory authority. Truth: The Washington, D.C., Appellate Court’s 2014 en banc decision in AMI et al. v USDA et al. upheld both the constitutionality and lawfulness of mandatory COOL for beef.